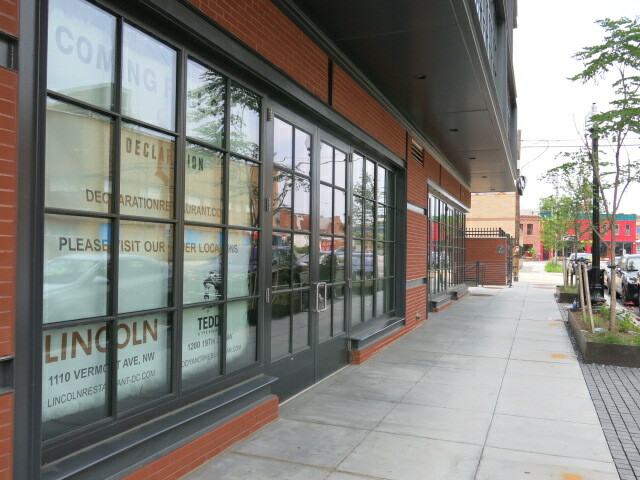 Longtime client Presidential Restaurant Group is scheduled open a new restaurant in mid-fall 2015 in DC’s Shaw neighborhood, with buildout ongoing this summer. The Washington Post and Washingtonian Magazine both announced the 1776 square-foot Declaration will honor past U.S. presidents Jefferson, Adams and the revolutionary era with casual farm-to-table dining. Presidential Restaurant Group’s third Washington DC restaurant Declaration is set to open in mid-fall 2015 in Shaw’s warehouse-modernist 2030 8th Street at Atlantic Plumbing building, near the 9:30 Club.